Yahoo Japan is hooking up with Google (GOOG) to handle its search and paid-search advertising, carrying off a partnership that eluded U.S.-based Yahoo (YHOO), and delivering a blow to Microsoft's (MSFT) efforts to increase the reach of its Bing search engine. The partnership, announced Tuesday, also delivers a not so subtle slight to Yahoo Japan's U.S. counterpart, signaling that it doesn't take its marching orders from its kissing cousin, which owns about a third of the company and has made its own deal to integrate its search with Bing. Yahoo Japan's president, Masahiro Inoue, noted in a press conference that Microsoft's search technology couldn't sufficiently handle its needs, such as adequately conducting Japanese language searches, according to a Reuters report. Yahoo Japan may have also been spooked by the slow progress Yahoo has made with its Microsoft partnership. A Deutsche Bank Securities analyst characterized the transition to Bing as a "slow but steady process" that is still ongoing despite having started in the spring. Last year, Yahoo entered its search deal with Microsoft after U.S. antitrust regulators signaled they would block any search deal with dominant player Google. Yahoo, a search pioneer that lost its way and was quickly dethroned by the emergence of Google, viewed a Google deal as a way to cut its search development and operations costs, while potentially bolstering the revenues it could receive from its advertising. Under the two-year Yahoo Japan-Google agreement, Yahoo Japan will use Google's paid-search delivery system and provide Google with access to data from its various Web sites, such as its shopping and auction sites, according to an Associated Press report. That information, however, will not include customer or cost information. The partnership is also expected to solidly Yahoo Japan's search leadership in its country, where it currently controls 50% of the market. With Google, the companies are anticipated to represent 80% of the total searches, based on the June figures from Nielsen/NetRatings, according to the AP report. Yahoo Japan will also have the option of automatically renewing the Google partnership for another two years once the first round wraps up. 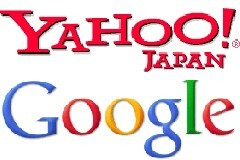 According to the AP, Yahoo Japan had previously used Google's search between 2001 and 2004.